Pierre would love to meet you! He would do best with an experienced owner in an adults-only household where he is the only pet. Pierre is a part of PAWS Chicago’s Featured 5 adoption program. Pierre is currently spending time in a foster home. 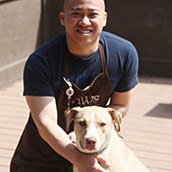 For more information on how to meet or adopt Pierre, please e-mail adoptions@pawschicago.org. Bonjour! 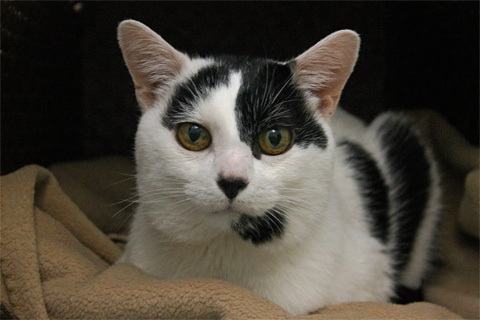 Meet Pierre, a mature gentleman who would love to find a quiet, relaxing home where he can spend his golden years. Looking for someone to keep your lap warm? 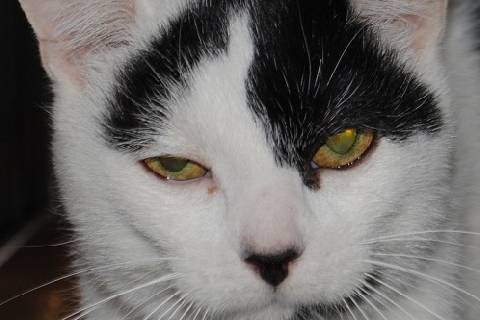 You’re in luck, because he absolutely love to sit on laps and snuggle with his human companions! His favorite activities also include lounging and playing with wand toys, and using his scratching post like a champ. Pierre has been diagnosed with diabetes, and requires insulin injections twice daily after mealtime. Thankfully, Pierre loves to eat, and he takes his shots very well, so please don’t let his special needs scare you away! 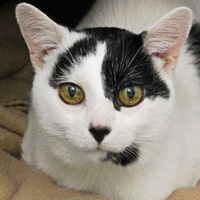 Although he may be a little older, Pierre is a laid-back, total sweetheart who has tons of love to give. Being around other animals can be stressful for him, so he'd prefer to be the only pet in his forever home. As long as he can hang out and snuggle with his human family members, he'll be a happy guy. Pierre will make a faithful and loving companion to anyone who is willing to give me a chance. 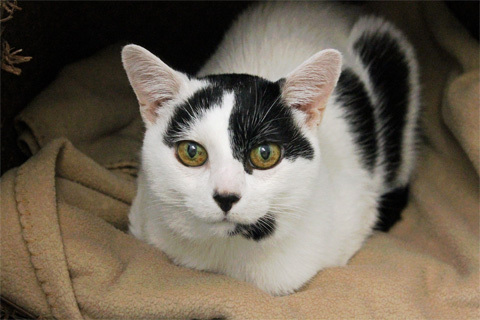 Won’t you consider fostering or adopting this senior kitty? Keep me company! I prefer homebodies who are often at home.